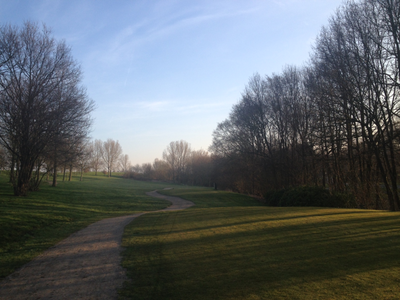 Ideal climate early March inspired me to get up extra early on a Sunday morning to play a round of golf by myself. Too bad I bogied three of the first four holes, but the wonderful nature around me soothed away the slight disappoints. For the first time this year a double-bogie-less round, no birdies though. In total seven bogies and the rest pars for a 39+39=78.